Often we feel that a prayer comes in the form of something spoken out loud or within, on our knees, sitting in meditation, joining with others in a group, read or written – in other words an action we must consciously take. What if every breath we take is a simple prayer and a means to connect head with heart as proposed above? What would you do with that practice? 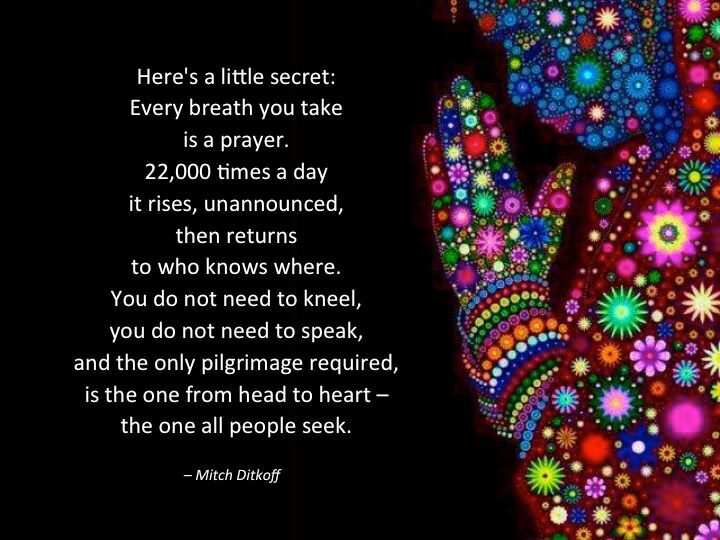 Defining prayer as each breath taken expands the sacredness of what it is to be alive! As 2013 begins we may take a look at our lives to see and feel where we can be more of our authentic selves, increase our happiness, love more, achieve more, create more…..and it goes on. It there was one intention for the year, only one mind you, what would that be? For me I ask to be mindful of my breath. The full, natural optimal breath that was given to me at birth. Breathing fully is perhaps the best way to value yourself and your overall health. Many of us find ourselves breathing from a very shallow place when we even notice our breath. This shallow breathing is an integral part of what I call the anxiety cycle. Shallow breathing tells the body to protect and be on guard. What unseen forces are out there to get me? …and it takes us into the future or the past, forgetting the precious moment we have right now. On the other hand a full breath activated via the diaphragm with soft belly and full ribcage expansion tells our body and our psyche that all is well. Ahhh….looking forward to the next full breath, the next life moment. Do you want to live a full, healthy and expanded life? 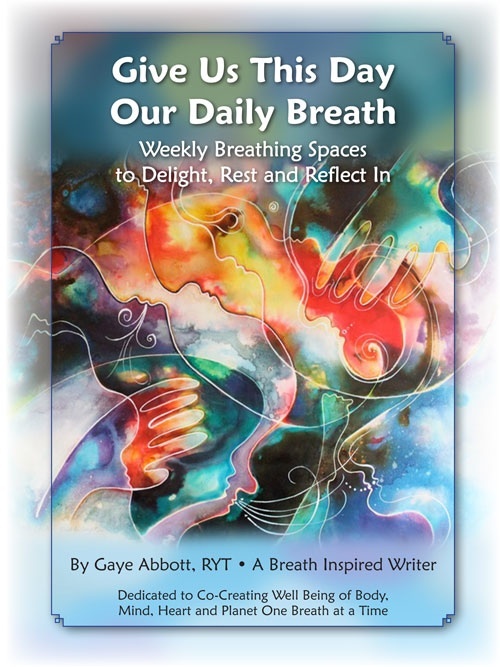 The breath practice above suggested by the Dalai Lama is simple and effective, or the simple words of “I am breathing in” and “I am breathing out” for 10 breaths, with eyes open or closed, and in a posture of comfort is one way of breaking the anxiety cycle….and putting your focus on enhancing the way in which you are presently breathing and living! Begin 2013 with cherishing your breath, yourself….and all beings.